Juniper essential oil is obtained via the steam distillation of the juniper plant (Juniperus communis). Juniper is an evergreen shrub that is quite common in Europe. The steam distillation extraction can be done from several parts of the juniper plant such as the wood, needles, or powdered fruits. The main components of juniper essential oil include; alpha-pinene, camphene, terpineol, bornyl acetate, caryophyllene, myrcene, alpha-phellandrene, alpha-terpinene, gamma terpinene, beta pinene, sabinene, cineole, beta phellandrene, and para-cymene. Juniper oil also has trace quantities of limonene, linalyl acetate, borneol, nerol, camphor, and linalool. Juniper oil is often blended with other essential oils or natural oils, such as bergamot oil, cypress oil, or lemon oil, before use. Anxiety is a normal emotion that everyone experiences every now and then. However, for some people, it is a serious mental disorder that affects their day-to-day activities. Juniper essential oil is used in aromatherapy to alleviate anxiety thanks to its richly balsamic fragrance. A few drops can be added to a warm tub of water for a relaxing soak. Juniper essential oil is a great remedy for insomnia. People who have trouble sleeping will get a more restorative sleep when they massage the essential oil on the chest and neck before bedtime. This is because juniper essential oil promotes relaxation of the mind and relieves tension. Juniper essential oil is a mild stimulant that is employed in therapeutic massages to restore optimal working nerves to help overcome mental fatigue. Diffused, juniper oil vapor supports the wellness of the mind thanks to its stimulating effect. It has been observed to increase secretion of vital chemical messengers that promote neuron activity in the brain keeping you alert. The essential oil derived from Juniper’s berries, needles, and stem reduce emotional and physical stress when inhaled. 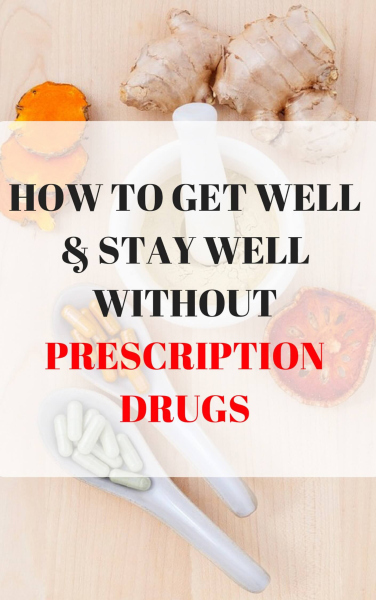 Research has shown that antidepressants are among the most common prescription medication taken today. Given the very widely documented side effects of these medicines, a lot of people are looking for alternative remedies for stress management in a bid to keep off pharmaceutical treatments. This essential oil offers a natural remedy that helps people cope with the daily stresses and strains of life without worrying about adverse side effects. There are three very important properties of juniper essential oil that promote healing; antiseptic, anti-inflammatory and antibacterial properties. It prevents sepsis. The essential oil, in dilute form, can be applied directly to cuts and wounds to stave off bacterial infections and help sores heal faster. Sudorific — is a substance that induces sweating. Sweating is the body’s mechanism of releasing excess water, toxins and salt. Juniper essential oil has sudorific properties — it stimulates excessive sweating which cleanses the pores. This essential oil prevents the break out of damaging skin conditions and this explains why juniper berry oil is one of the most favored remedies for skin problems such as acne and eczema. Juniper oil is a world-class detoxifier and cleanser. It is used to purify blood — the oil has depurative components and can effectively target and remove toxins such as uric acid, excess water, pollutants, and heavy metals. This promotes blood flow and supply of adequate nutrients to vital body organs. In essence, it ensures overall health of the body, supports organ function and curtails deficiencies. Juniper oil is diuretic in nature and this means that when ingested, it promotes frequent urination. An increase in urine output is a great natural remedy for preventing and treating urinary tract infections. It also shortens the duration of a bacterial attack thanks to its antibacterial properties. This essential oil is a gem when it comes to stomach health. It helps cure common stomach ailments such as ulcers. Ulcers are caused by prolonged stomach acidity. Juniper oil helps maintain secretions of bile which reduces stomach acidity. It cleanses and nurtures the stomach. Juniper berry oil has a carminative property that is important in eliminating intestinal gases. These gases are the common culprits of indigestion, abdominal pain, and discomfort. It helps the body get rid of these gases, reduces the feeling of bloating and possibly prevents the formation of more gases. Juniper essential oil is widely popular as a tonic drink in very dilute solutions. It is used to promote overall good health of the digestive, nervous, circulatory and excretory systems. It has a powerful combination of properties and attributes that make it tonic. Sinus infections are common, especially during the cold season. Thanks to Juniper’s sharp fragrance and healing properties, it is used to make decongestant steam that greatly thins mucus and reduces inflammation. Add a few drops of the essential oil to a small basin of hot water, lean over the bowl with a towel over your head and inhale the steam. Joint pain and arthritis are common ailments associated with inflammation. These can be caused by accumulation of uric acid and other toxins. Juniper essential oil can be used either as a topical application or in a diet to calm such inflammations and bring relief. Additionally, it can be applied on external hemorrhoids to reduce their size and make them less painful. Sudden and uneasy discomfort throughout the body can be felt as a result of sore muscles. This essential oil is effective with nearly all forms of muscle cramps and spasms including menstrual cramps. It is an antispasmodic that can be massaged into cramping muscles to bring much-needed relief or added into a warm bath with Epsom salts for the same effect. Juniper oil is effective for scalp health. It helps reduce the formation of dandruff and it strengthens hair follicles. It has antimicrobial and antifungal properties that support a healthy scalp. For a healthy hair and scalp, massage this essential oil onto your scalp every now and then before you shampoo your hair. 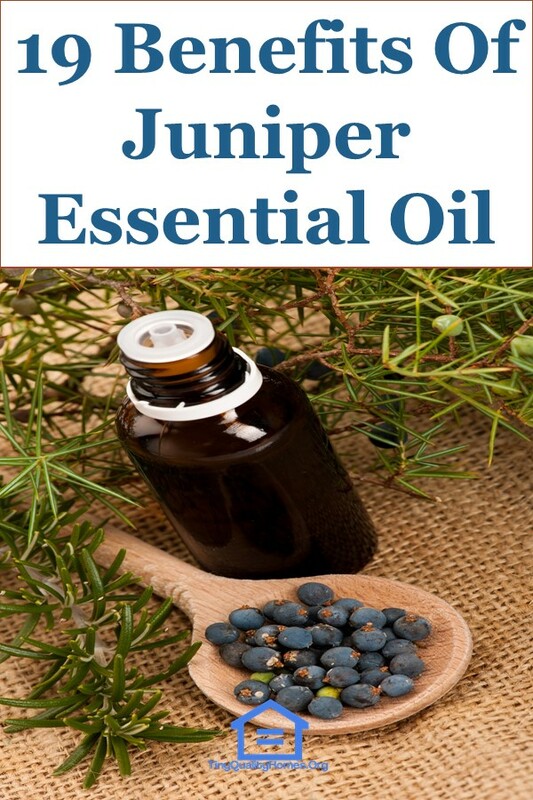 Juniper essential oil makes a great natural insect repellent. It can be used on both people and pets to keep small biting bugs away. For your own use, add a few drops of the essential oil into your lotion and apply whenever you venture out to the woods. Put juniper oil in your room’s diffuser and keep bugs away from your living space. For pets, a few drops of the dilute solution can be applied on a leather collar so that the oil soaks in. The deep balsamic fragrance effectively repels insects. Avoid using Juniper oil on cats. Make simple DIY cleaning sprays using juniper essential oil which is an excellent disinfectant. It is all-natural, has antiseptic properties and an amazing fragrance. Unlike regular household cleaners that are riddled with chemicals, juniper essential oil cleaners will not leave harmful chemical residue on surfaces nor irritate your eyes. Make a blend with vinegar to tackle tough stains. Replace commercial air fresheners with a homemade, all-natural juniper oil spray for a long-lasting fresh scent. While still on the topic of great and long-lasting fragrances, juniper essential oil is a common ingredient in perfumes. The berries, from which this essential oil is derived, are very aromatic and potent. Juniper has a long history of use in cosmetics and perfumes across many cultures. It is no wonder it’s still in use today in perfumery. The use of juniper oil should be avoided by pregnant women and people with kidney issues.